All new parents experience some sort of anxiety after their child is born. They gaze at their newborn infant lovingly, closely examining each finger and toe. They look for signs of early development often wondering what is normal and when or if to call the doctor. What if there was a resource that would step by step lead you through an assessment of your newborn baby’s movement patterns. What if there was something you could do foster your baby’s physiological and psychological development through touch? The good news there is! Even though my son was born with a congenital heart defect and later developed childhood apraxia of speech and a learning disability, he had high APGAR scores. I wish I would have learned about the B.R.I.G.H.T system. What is the B.R.I.G.H.T system of newborn infant assessment? The B.R.I.G.H.T system is explained in Michelle Turner’s book The Newborn Movement Assessment. The ability to move unrestrictedly is key to an infant’s cognitive development. Impairment in this area can indicate an array of disorders such as autism, cerebral palsy, and genetic diseases—and in these cases, early detection and intervention is imperative. In Newborn Movement Assessment, author and movement integration specialist Michelle M. Turner offers a comprehensive guide to help determine a baby’s developmental concerns, as well as provide effective treatments to stimulate the child’s movement patterns through gentle touch. Through step-by-step instructions for evaluating a child’s birthing process, assessing the rotation, and introducing a healthy touch, Turner shows you how to catch an infant’s lack of response to movement immediately upon birth. She then offers the necessary tools to help you assess and change the baby’s ability to react to stimulus, with the ultimate goal of improving the newborn’s cognitive development. The author is the mother of a child with special needs, who recognizes early intervention is key. movement specialist to help my own child with special needs, not realizing at the time that his complications were going to be long term. The majority of my clients, prior to meeting with me, were unaware that their child was not getting the specific interventions they so desperately needed,” said Michelle Turner. “After years of research and learning the craft of gentle touch therapy through specific movement, I realized that many complications stemmed from general birth trauma or lack of rotation. 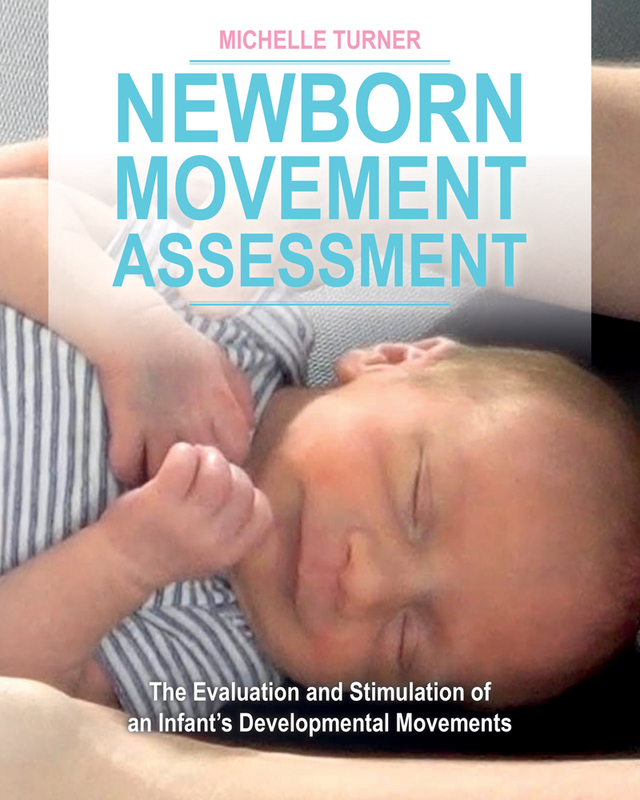 I created the Newborn Movement Assessment to give parents the opportunity to assess their infant’s movements from birth throughout their first year of life. The Newborn Movement Assessment takes you through a thorough evaluation of a newborn’s body by asking questions. There are videos to help you. Starting at the head, the assessment asks questions like, “Do you notice that you cannot move the head to the right but you can to the left?” From the head, the assessment moves to the shoulders, arms/elbows, wrists/hands, spine, chest, pelvis, legs/knees, and feet/ankles. By answering these simple questions and rating your birth experience, you end up with a final birth and rotation score. These scores indicate the risk of the newborn. The last criteria I found particularly interesting. It involves touching with “curiosity and exploration” to “feel how your infant moves”. Turner also offers lessons on learning touch with a water bottle, wine glass, bowl, and plate. All lessons and assessments are included in videos on the website for the book. The Newborn Movement Assessment was created to compliment medical assessments already in place such as the Apgar score. Currently there are medical and genetic tests to assist, coordinate and direct medical professionals to identify current and present health concerns in a baby. The NMA is a comprehensive guide that introduces an effective method to determine short and long term developmental concerns and it optimizes and stimulates a baby’s movement patterns through gentle touch. Whether your child has a disability, was born premature, came from a C-section or vaginal birth, this book contains excellent information for every parent to assess and enhance his or her child’s developmental movements. This book is an excellent, clear resource for all parents. I plan to pass on my copy to a midwife friend. There were definitely differences in the movement patterns between my two children. I still remember my mother commenting on how well my daughter moved her head around shortly after being born. For my son, we were more concerned about him breastfeeding and opening his eyes. This book will help parents figure out what is normal and what may be a cause for concern in their newborn’s movement patterns. It offers methods through gentle touch for improvement. It gives parents a valuable tool and assessment to discuss with their pediatrician. « How long should childbirth labor last? Thank you! I wish that I had this when my children were young. I hope to help a lot of babies and their families.